Texas dance halls are iconic structures that have played a prominent role in the state's culture from its earliest stages. They became central institutions in the earliest European settlements and provided these immigrant communities with a common, central space in which to build new ways of life in a new land. 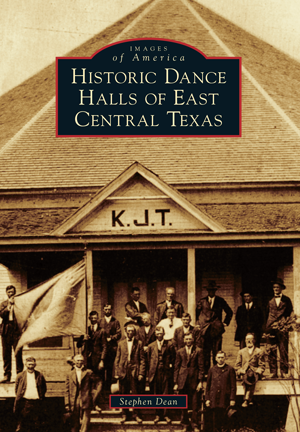 The settlement patterns of the mostly German, Czech, Polish, and other central European migrants of this period gave East Central Texas the state's greatest concentration of dance halls. Thousands of these halls were built throughout the 19th and early 20th centuries, but at present, their numbers have dwindled considerably, and many are at risk. Stephen Dean is cofounder of the Texas Dance Hall Preservation nonprofit and an authority on these early halls. He has documented more than 800 halls in Central Texas alone. He has also owned or managed several dance halls and continues his research for other upcoming publications about these historic buildings. The archival images in this volume have been collected from various sources over his 10 years of research.